1-CD-Album Digipak (4-plated) with comprehensive booklet, 14 tracks, playing time approx. 30 mns. The complete 50s and '60s recordings of a female rockabilly legend! 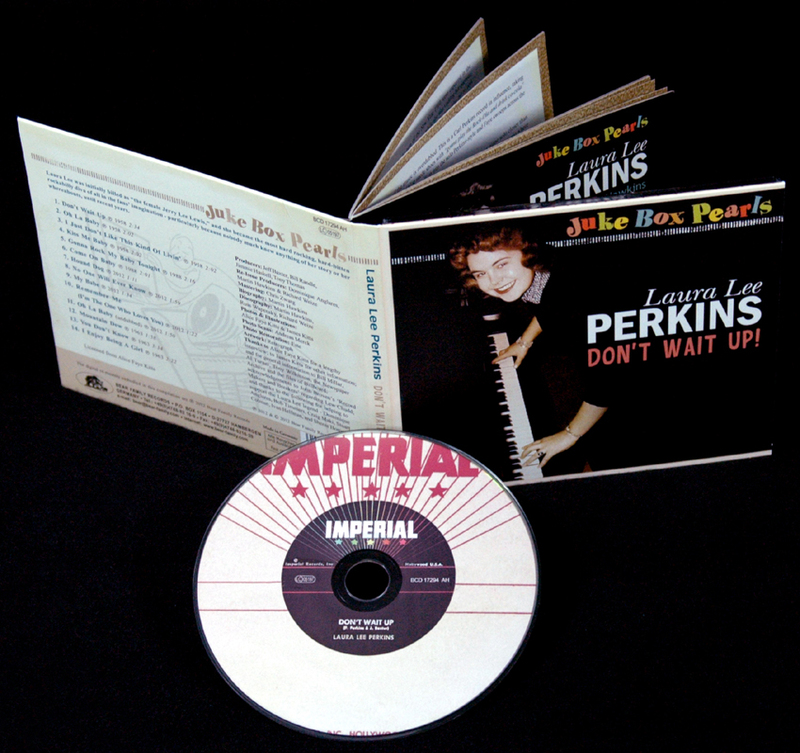 Contains every recording made by Laura Lee Perkins for Imperial (six tracks) and Sundowner (three tracks)! Plus five acetate demos, not originally issued! 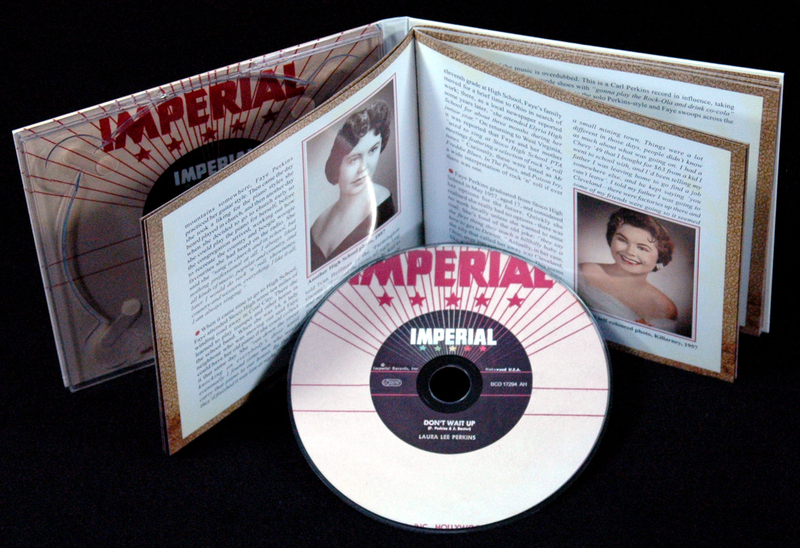 Features the incredible studio band of Imperial Records including hot guitar solos from Joe Maphis! Includes two of the greatest original rockers and principal songs of the rockabilly revival years! Promotion men thought piano-pounding Laura Lee Perkins was the 'female Jerry Lee Lewis'. She said she was 'just having fun.' Either way, it's a recipe for success. 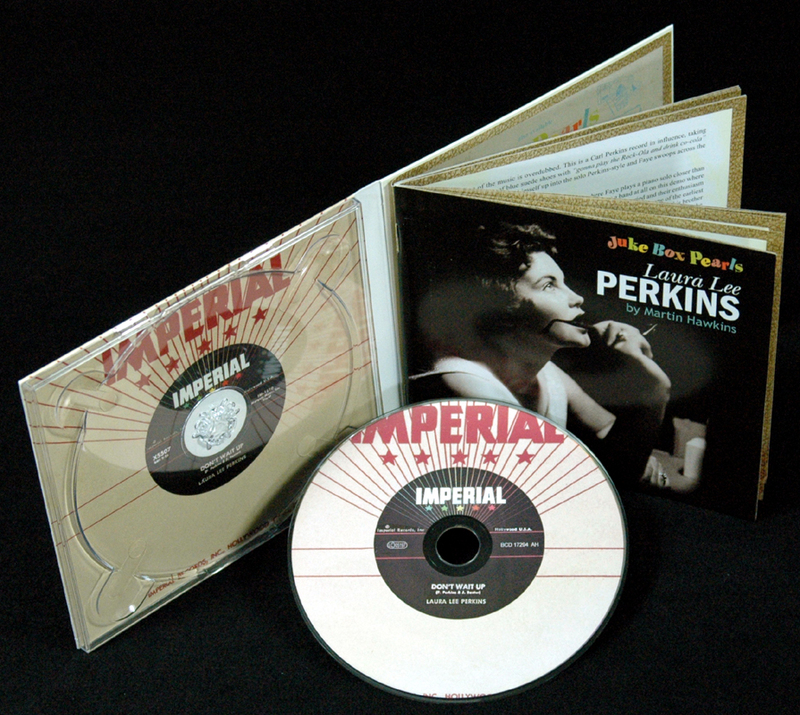 Imperial Records won out over Sun for Laura Lee Perkins 'the best female commercial singer' he comprehensive booklet by Martin Hawkins tells the fascinating story of young Alice Faye Perkins from West Virginia, who was transformed into the rock 'n successful night club career. Complete with original interviews and rare photographs. Their two Imperial singles are considered the best and rarest Rockabilly recordings of women ever! Produced by Ricky Nelson's arranger. Based on new, exclusive interviews, this is the first time the story of Laura Lee Perkins is told. This album contains all recordings for Imperial, rare demo records and some live recordings, made in the Golden Age of Rock'n' Roll. 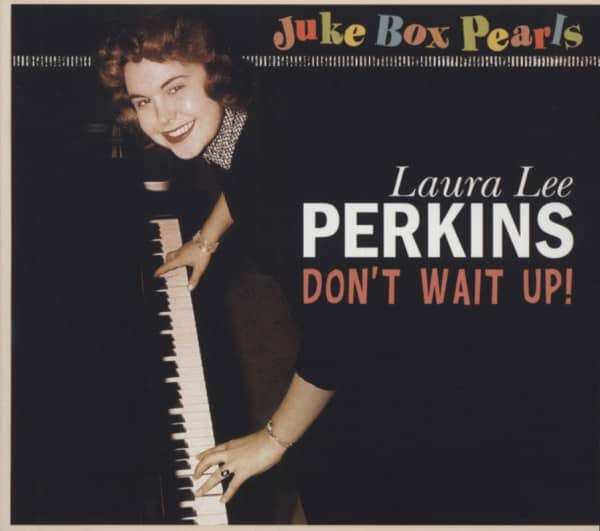 In her day, Laura Lee Perkins was announced as the female edition of Jerry Lee Lewis. It came from West Virginia, the stubborn land of the coal mines. She got a piano from a neighbour; she taught herself how to play. When her family moved north, she got her big chance. A dee-jay in nearby Cleveland, Ohio, recognized her talent, recorded a few demos and introduced Laura Lee Perkins to Cleveland's legendary dee-jay Bill Randle. Randle got her a contract with Imperial Records. 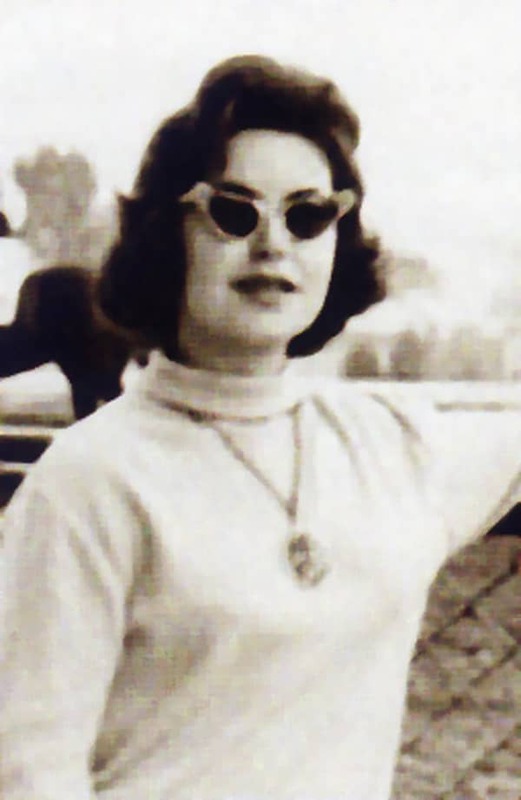 The record company flew her to Los Angeles, where she worked with Ricky Nelson's arranger, Jimmie Haskell. Nelson's drummer and legendary guitarist Joe Maphis played on their records. 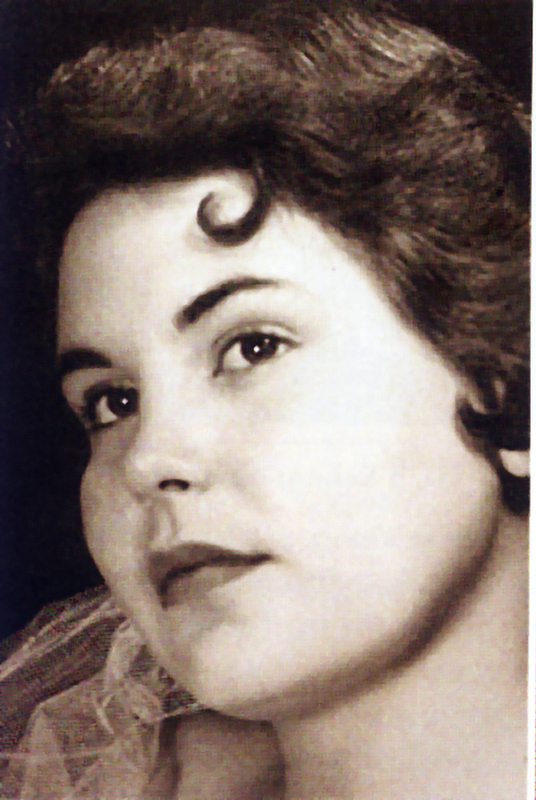 After the Imperial recordings sold badly, Laura Lee Perkins appeared for many years in clubs in Michigan, Ohio and southern Ontario. Only today, after exclusive new interviews, we learn the whole story of one of the most original and great singers of rock'n' roll - Laura Lee Perkins as a CD album. ause nobody much knew anything of her story or her whereabouts, until recent years. In a way, there never was such a person as Laura Lee Perkins: there was, though, Faye Perkins, later Faye Kitts, a girl who "liked all kinds of music" and whose aim as a teenager was not to make records but "just to have fun." Girls do just like to do that, apparently. Killarney, a small mining town in the hills of West Virginia about 50 miles southeast of Charleston, was not the easiest place to be in the Depression years of the 1930s, but that was the lot of Chester Perkins and his wife, Hazel. They and the other residents of Killarney lived on narrow strips of land either side of county Route 33, which briefly became Main Street before heading back out into the wooded hills. The Perkins family lived "in a company house in a company town," according to their daughter, Alice Faye, who liked to be called Faye, born on 20 July 1939. She told me: "The mining company owned the houses and the stores and everything else, but I didn't know another way of life. Though I was the only child, I had plenty of friends and I always had someone's house to go to. I enjoyed growing up in West Virginia." Faye's was a musical childhood, too. She remembers: "When I was growing up, our whole family was musical. Everybody played a guitar or something, and they all sang – so it was natural for me. I gravitated to the guitar as early as three years old, so my mother told me. I picked it up while she was cooking and it was about as big as me so I laid it flat on the couch and played with it. My mother came in and said 'that's a chord you're playing. How did you find that?' And I said 'I don't know', so she said she would show me some more. All the while I was growing up, the family entertained ourselves. There was little TV in those days. My father and my mother and me all played guitar and we sang harmony together. Most of our relatives were in Tennessee and Kentucky and they played, too. My father's side was very musical, the Perkins, and when we'd go to Jellico, Tennessee just over the Kentucky border to visit them there might be twenty-some people playing music on the porch, and all the neighbours would line up outside and listen too. I went to a cemetery in Jellico one time and it was just full of Perkins." Killarney was a small place, home to just a few hundred people. At home, or sitting up in the mountains somewhere, Faye Perkins practiced her guitar style. Then came the day she took a liking for the piano styles she heard played in church, and then another day when she decided to go to church early so she could play the piano for herself, before the congregation arrived, working out how to recreate the country and boogie woogie favourites she had heard on the radio. She said she "sang in church and in school, but nothing professional at all. I always liked all kinds of music, popular and country, and later I would do rock 'n' roll, showtunes, country and western, everything. I like it all, I am always singing." When it came time to go to High School, Faye attended Stoco High some ten miles of winding road away in Coal City. There she learned to play trumpet and other horns in the school band. When she was 14, a lady neighbour who was moving out said Faye could have her old piano if she could collect it that same day. She "ran down the street knocking on everybody's door until eventually I found some men who would carry that piano to our house. By the time they'd finished it was late at night." She later told Ivan Helfman of the 'Farmington Gazette', "I played the piano all night long and my father was mad because he had to go to the coal mine in the morning. I taught myself piano. I never got lessons because it was fifty cents a lesson, and my father found that outrageous." When she was in the eleventh grade at High School, Faye's family moved for a brief time to Ohio in search of work; there, as a local newspaper reported some years later, "she attended Elyria High School for about three months during her junior year." On returning to West Virginia, it was reported that Faye and her mother "used to sing at Stoco High School PTA meetings featuring a selection of rock 'n' roll tunes." Curiously, these were listed as Mr Freddie Blues, In The Pines, and Poison Ivy, a wide interpretation of rock 'n' roll if ever there was one. 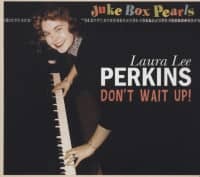 Customer evaluation for "Lee Don't Wait Up - Juke Box Pearls (CD)"
Press Archive - Laura Lee Perkins - Don't Wait Up - Juke Box Pearls - Western Mail Die beiden IMPERIAL-Singles von Laura Lee Perkins galten als die besten und seltensten Rockabilly-Auf-nahmen von Frauen überhaupt! Produziert wurden sie von Ricky Nelsons Arrangeur.